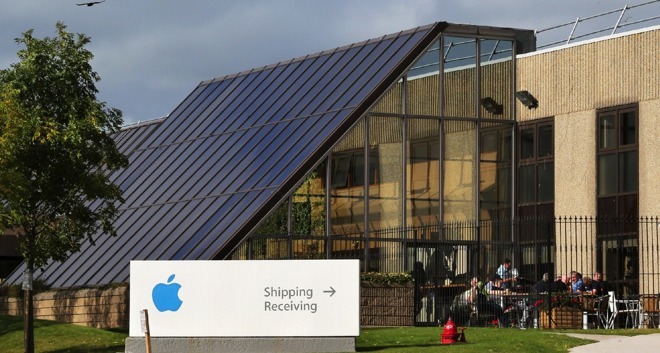 The European Commission's order for Apple to pay Ireland 13 billion euros ($14 billion) in back taxes is an overreach of power, with PricewaterhouseCoopers' head of Irish tax matters Feargal O'Rourke claiming the move is tantamount to a "land grab." In a discussion at the Irish Times corporation tax summit, Mr O'Rourke insisted the Commission had gone beyond its remit to demand repayment of taxes from Apple. Declaring the ruling for retrieving the money was "ill-judged," O'Rourke warns the regulator "Doing it by ignoring the law is not the way to do it." O'Rourke believes the Irish government was correct in challenging the repayment ruling, insisting that no-one who was familiar with the details of the case could believe the money actually belongs to Ireland. He is also confident that the Commission's decision to demand repayment would be overturned if it was brought in front of the European Court of Justice, providing the ruling isn't politicized. Aside from his position at PricewaterhouseCoopers, O'Rourke is also an advisor to the Irish government, assisting in the creation of incentives that help convince multinational organizations to operate in the country. The Irish government's handling of the Apple tax case may also have a bearing on future investment, with O'Rourke advising of considerable international focus on the ruling. He suggests that, while Ireland has a stable tax environment and a low tax rate that makes the country attractive to major businesses, the Commission's interference with arrangements between Ireland and Apple may threaten this stability. The investigation into Apple's tax affairs in Ireland ended in August last year, with the Commission claiming tax rates on Apple's European profits were illegally low, down to 0.005 percent in 2014 and 1 percent in 2003. Ireland was accused of granting "illegal tax benefits" to Apple, and had been "reverse engineered" on the fly to guarantee a minimal tax bill as time progressed. Both Apple and Ireland are contesting the ruling, with the Irish government "fundamentally disagreeing" with the findings and resisting the back tax repayments. Apple claims the European Union "took unilateral action and changed the rules, disregarding decades of Irish tax law, U.S. Tax law, as well as global consensus on tax policy." In December, Apple CEO Tim Cook and other high-level executives were invited to Ireland to discuss the ruling and future action. Cook declined to attend, with Apple citing the legal complexity of the case behind his refusal, a move that Irish politicians considered to be a "snub to Irish people."